The star-studded Cape Cobra side proved too strong for the Sunfoil Dolphins last night at Newlands, securing a home final on 9 December. The playoffs have also now been determined with the Knights and Warriors to fight it out for their place in the final in a fixture on 4 December. 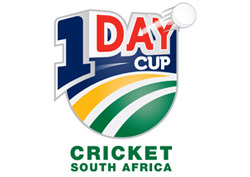 Please allow a correction to my last blog entry – the format of the 1 Day Cup is not as I described. The new format allows for the top of the log side a guaranteed spot in the final and a playoff between 2nd and 3rd placed teams to determine their opponents. Whoever is going to face the Cobras will need to be at their sublime best as Richard Pybus’s side seem to have too many “guns”! By that I mean they have all their international players available in Smith, Levi, Kallis, Duminy, Boucher, Peterson and Steyn. Add to that England international and overseas professional Owais Shah, as well as experienced past Proteas players -Gibbs, Langeveldt and Kemp, and it almost seems an unfair contest. But, as we have seen before, cricket is a funny old game and quite often the mighty is humbled. Still, I wouldn’t bet against the Cobras pulling this one off. Noel Coward coined the phrase “Mad dogs and Englishmen go out in the midday sun”. It is therefore ironic that an Englishman, Lee Westwood, is the defending champion of what is termed Africa’s major. The favourite, Luke Donald, hails from that same wet land. The only Yank in the line-up has the unfortunate surname of Dufner. For someone of my ability, this would be akin to using the “S” word (shank) which in golf lore is certain to result in your ball taking off at right angles to your intended line of flight. What I miss in this line-up, in fact, in golf in general, is a character or two. Yes, Darren Clarke still puffs and duffs (occasionally), but where are the Severianos and Trevinos of the modern game? Has money become such an overriding passion that the Hobdays of this world have departed the scene for greener 19th holes? A favourite story about Hobbers tells of how he and Fulton Allem were paired in a two-ball. The latter, from Viljoenskroon, was not the most popular pro on the local circuit, while Hobday was of course equally renowned for his skills on the course and in the pub. Allem was in contention to win the tournament when he missed a relatively easy put. “That cost me a small fortune,” he sighed. Golf is poorer, despite all the money, without these characters. Please feel free to share your favourite story. Dis deesdae so stil op sportgebied dat ou Maans se gemoed maar self bietjie morbied raak. Net verlede week sit hy blomme op die graf van sy geliefde moeder. Net toe hy begin terugloop na sy kar, word sy aandag getrek deur ‘n man wat kniel by ‘n graf. Ou Grote, as dit voel of die wêreld ekstra swaar op jou skouers lê, dan is dit bloot omdat die vakansie net om die draai is.